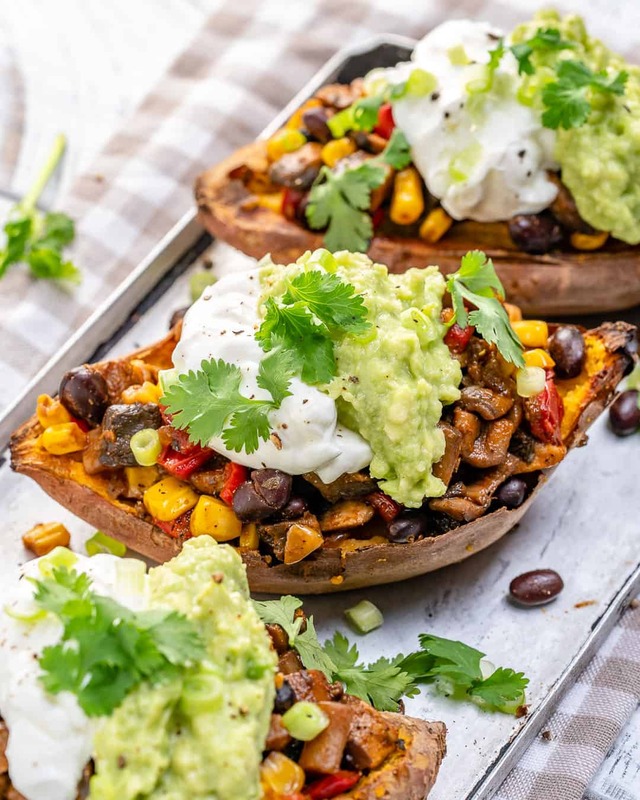 This Simple Mexican Stuffed Sweet Potatoes recipe is going to be one of your favorites. 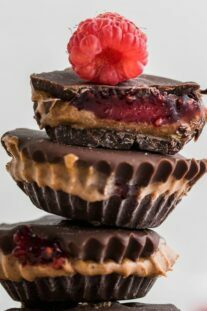 It’s deliciously soft on the inside and stuffed with a variety of flavorful toppings. 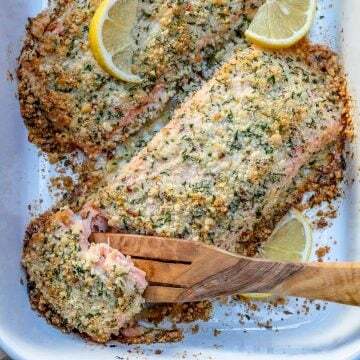 This is an easy to make tasty and healthy dinner recipe option to add to your weekly dinner menu. 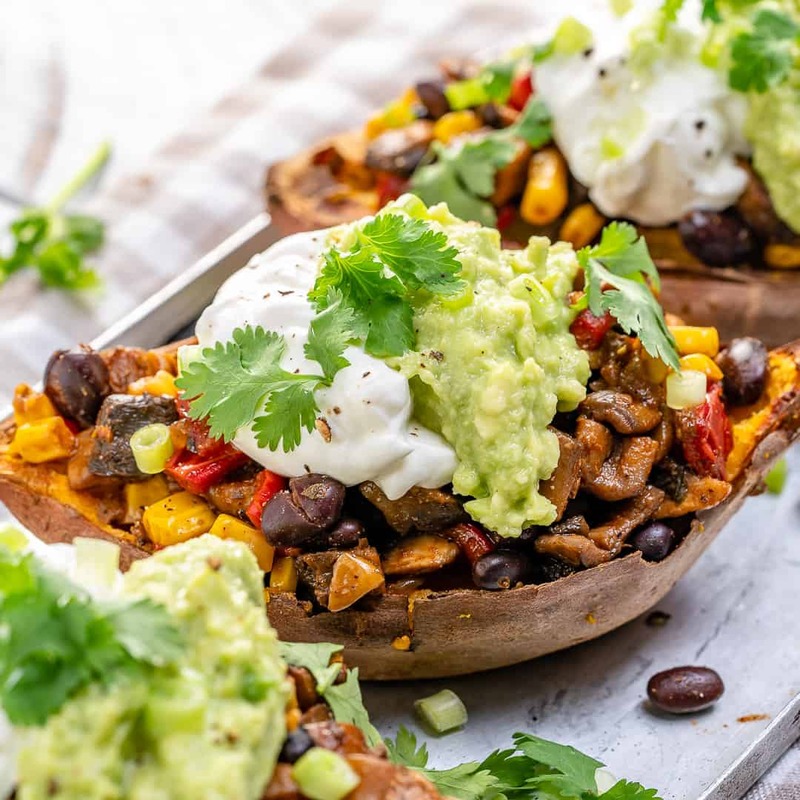 So much to say about this Simple Stuffed Sweet Potato recipe. But I will keep it short and sweet. They are to die for! so much flavor and so filling. Sweet potatoes are really delicious any way you make them right? It’s hard to think that there is a sweet potato recipe out there that isn’t delicious. 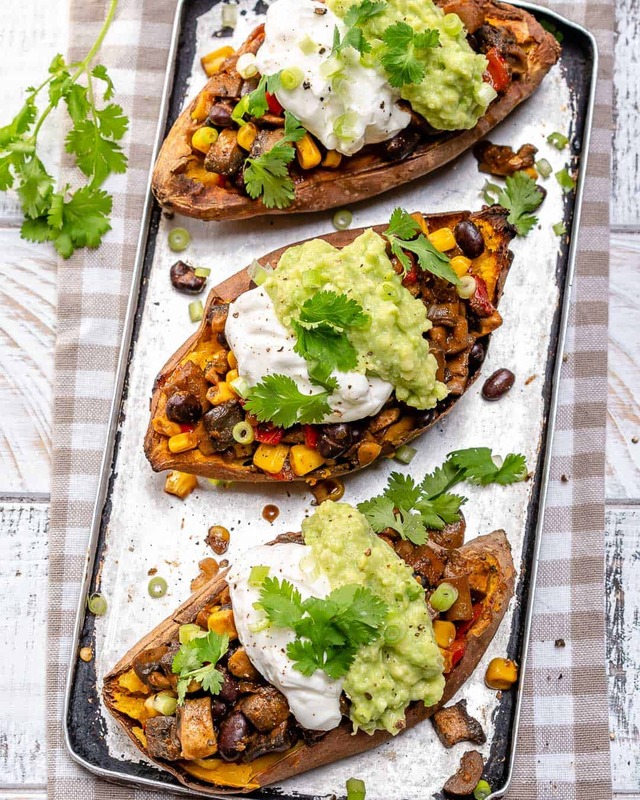 But this Mexican Stuffed Sweet Potato recipe turned out very tasty. This Simple sweet potato recipe is considered a vegetarian dish and readily also gluten-free. 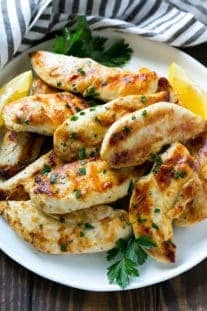 If you feel like adding any protein over it you sure can add some sauteed or grilled chicken cubes to the toppings. If you are wanting to make this recipe Vegan you can do so by skipping the yogurt/sour cream altogether or just use vegan sour cream. I have discussed this topic before on this post. But I will go over it again since it’s the most frequently asked question. 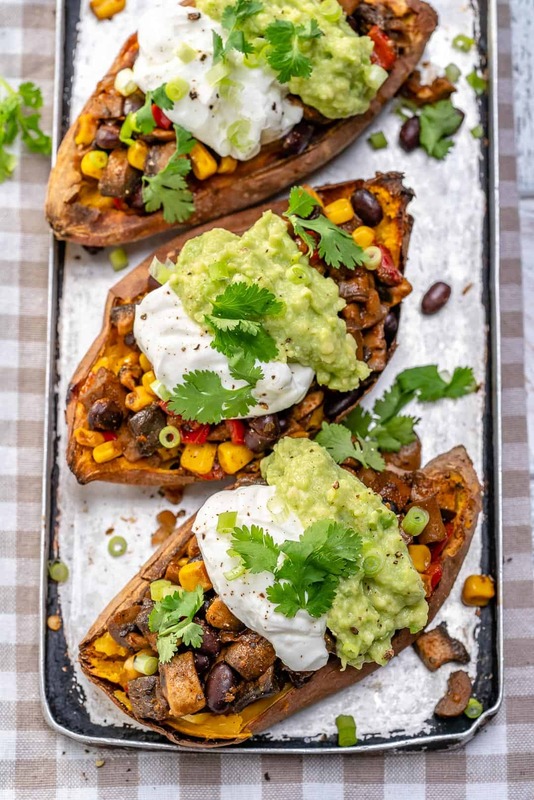 For my Simple Mexican Stuffed Sweet Potato recipe, I simply Roasted them. Bake: This may be the most used method. Preheat your oven. 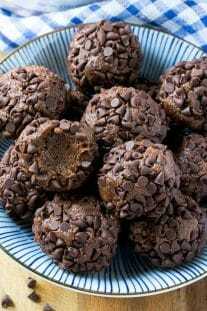 Poke holes throughout with a fork or knife and wrap them with aluminum foil and bake for about 30-40 minutes. Fried: Frying is another simple option. Cut the potatoes up into fries or wedges and fry with a little amount of oil in a pan. 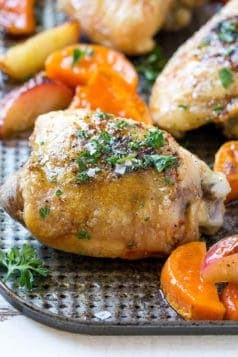 The healthier way would be to use an air fryer! Boiled: This is one of my favorites ways to cook a sweet potato! Wash them really well before adding to water. Boil until a fork goes through to check if they are done! let cool and peel. Roast: Similar to baking. Cut them ahead as I did with my Mexican Stuffed Sweet Potato Recipe and simply roast them in the oven. Microwave: I would admit to using this method quite often. It’s very simple and quick. 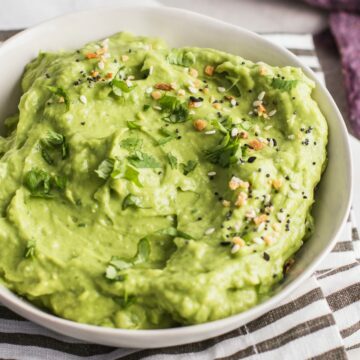 Wash potatoes, poke holes all around before placing in the microwave and depending on your microwave it should take about 2-4 minutes. Stovetop or Seared: This is also doable. Cutting sweet potatoes into cubes to cook like this for a skillet. You don’t have to bake it as I did for that recipe. You can cover your skillet for a few minutes on low heat to steam the potatoes. Want to know what makes my day? Its when you tag me in IG and show me your remakes. 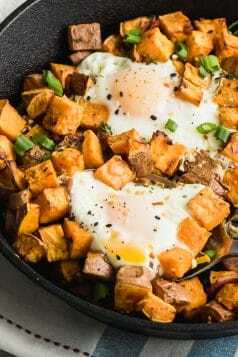 If you make this Sweet potato recipe please come back and leave me a comment. Let me know your thoughts and don’t forget to rate it! 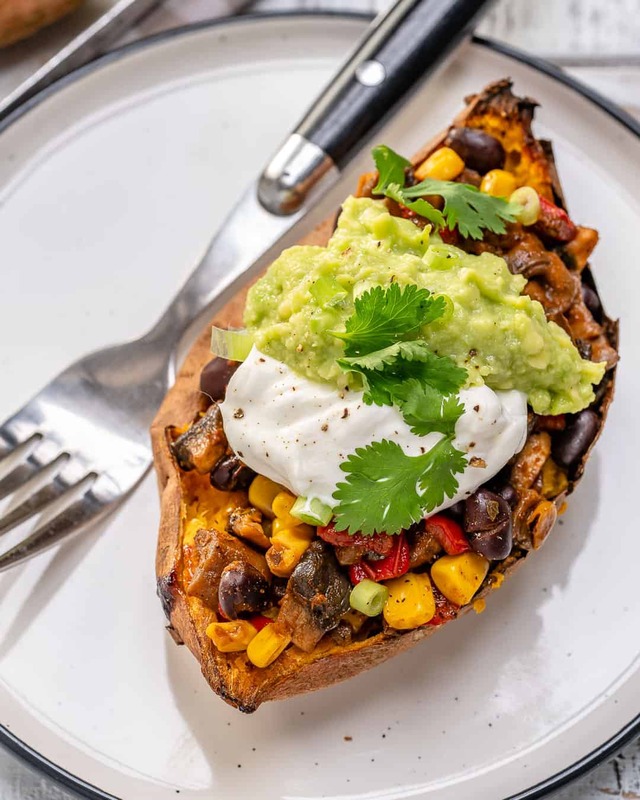 Remember to subscribe to my NEWSLETTER for free and receive all my new recipes like this Simple Mexican Stuffed Sweet Potato recipe delivered right to your inbox! 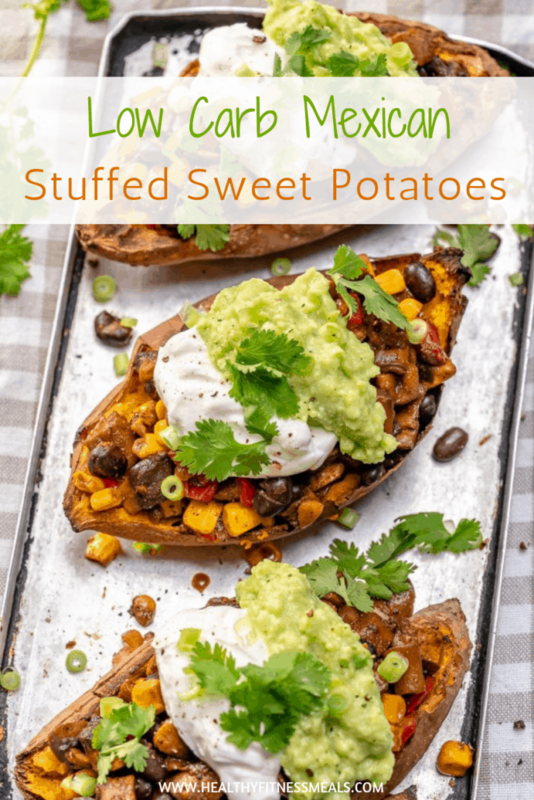 Ridiculously delicious tender sweet potatoes stuffed with a variety of Mexican flavored veggie mix. 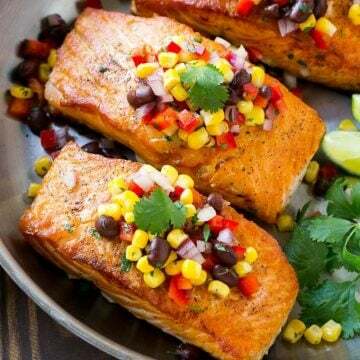 A perfect healthy dinner option for the family. 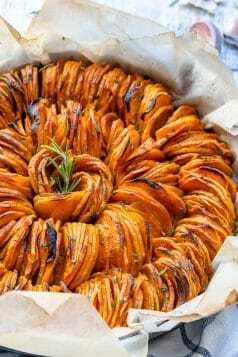 Cut the sweet potatoes in half on lengthways and place them (cut size up) on the baking sheet. Roast for about 15-18 minutes, or until fork tender. Turn off oven. Meanwhile, heat the oil in a large skillet. Add the onion, garlic, and bell pepper and sauté for about 4 minutes. 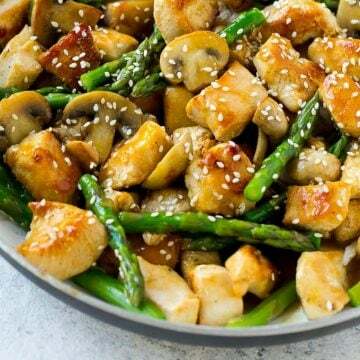 Add in mushrooms, and cook until tender, 6-7 minutes. Stir in the corn, black beans, tomato paste, cumin, and chili powder and cook for 2-3 more minutes. 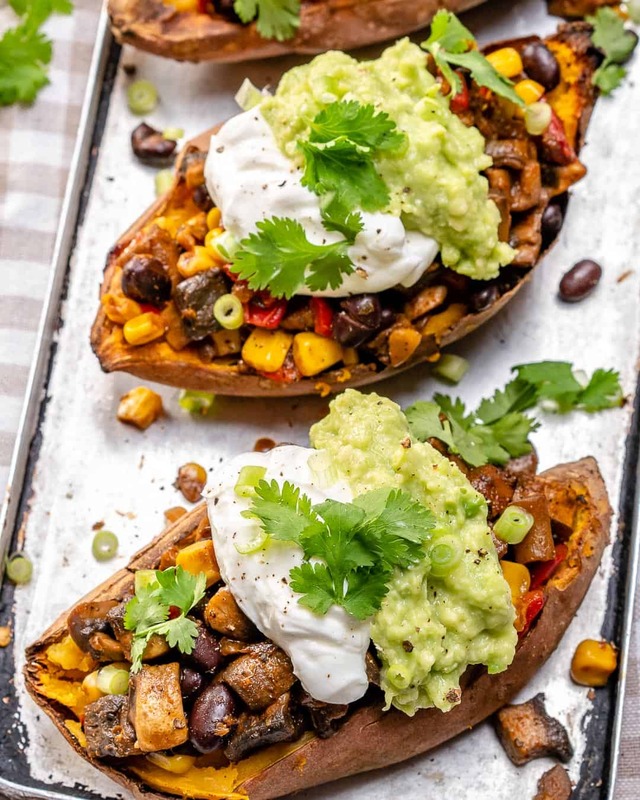 Remove the sweet potatoes from the oven and top them with the Mexican mixture, then add mashed avocado and a tablespoon of yogurt on top of each. 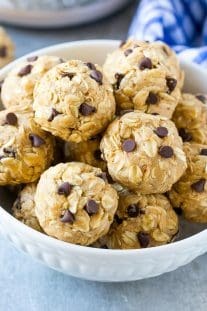 This recipe is almost vegan. 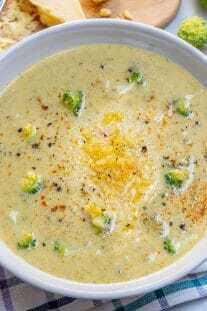 To make it fully vegan you can use vegan sour cream or yogurt. Or you can skip it entirely if you like.